Habitat: Found in shallow waters of the surf zone and in muddy estuaries close to river mouths. Distribution: Occurs from East London to Kwazulu Natal and beyond. Bait: Fillets of dead bait such as sardine. 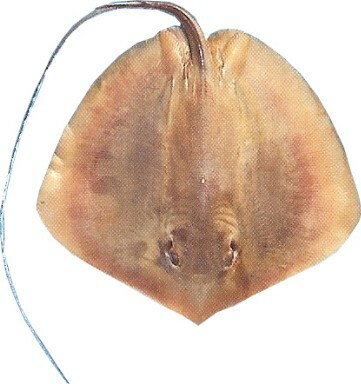 Fishing Strategy: This species grows smaller than other species of rays. The Brown ray is a strong fighter and can be caught throughout the year.